This is not only Photoflex’s largest umbrella, but also it’s quite versatile. 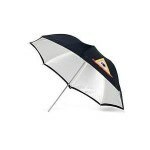 Use it as both a bounce umbrella and a “shoot-through” umbrella for softer light. It’s an excellent lighting accessory for ¾-length and full-body portraits. To order from Photoflex, please click here. Viovio, a leading online photo book company, makes creating photo books incredibly easy. Just drag-and-drop your photos into hundreds of templates and choose a size, and cover and paper styles. Viovio printed photo books start as low as $10.99 for a 20-page softcover (shipping extra). Create beautiful 2013 custom online photo calendars for family members and friends at Viovio. A 13.5 x 19” calendar, with 12 pages, cover page and front and back covers is just $27.49 (shipping extra). Eliminate the stress of photographing children with Shutter Buddies. 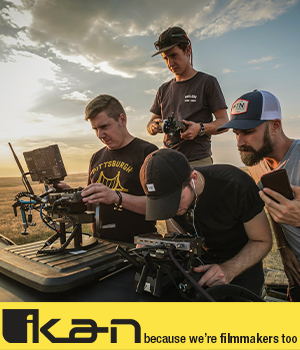 This menagerie of colorful, engaging characters look like stuffed toys or crib toys, but they surround the end of your lens or can be attached to the lens hood. Choose from Fred Frog, Oscar Octopus, Claire Caterpillar, Dan Dog, Paul Purple Owl and any of their friends. Individual Shutter Buddies are priced from $17 to $21. Cap Gorilla is an ingenious, little device that holds your lens cap with a stretchable silicone band, and then attaches to your camera’s strap. It’s the perfect solution to the lost or misplaced lens cap. Cap Gorilla is only $14.99 and Cap Gorilla Pro AL is only $32.99. Finestra Art is sure to become your preferred source for high quality photo papers. 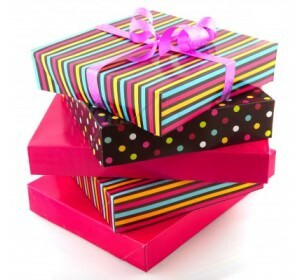 Try the Metallic Photo Paper Sampler Pack for just $12.00. It includes 5 8 x 10 sheets each of Metallic Gold Rapid Dry, Metallic Pearl and Metallic Silver. SnapKnot is an online service that helps wedding photographers improve their sales. Photographers create an online profile and portfolio and couples search the site absolutely free to find the photographer that matches their wedding and style. At just $49.95/month, the Diamond membership is the best value, offering unlimited images, top-of-page placement, advertising to as many as 5 cities, and so much more. Make any ordinary slideshow and HD video or online video absolutely extraordinary with Photodex ProShow Effects. 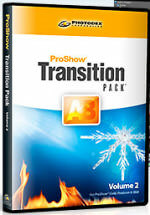 From animations to themed productions to an exciting array of contemporary transitions, you’ll dazzle your family and friends and attract the attention of more clients with any of the ProShow Effects Packs…each only $19.95. Love That Shot is an online subscription-based learning experience for the everyday, casual photographer, offering a large number of convenient, easy-to-understand and affordable online workshops. For just $20/month, you’ll have total access to all workshops, more than 60 written tutorials and instructors ready to answer your questions. 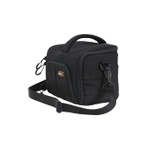 The Naneu C20 Correspondents Camera Bag is a great first bag for many photographers who are shooting with a compact camera or handheld video camera. It’s small, but made with the same high quality materials and construction as Naneu’s much larger bags. Priced at just $49.95, it’s the perfect gift.